Muffins can make me happy any time – little cups of joy. Last time I had shared a Blackberry Muffin recipe which I made with blackberry preserves. 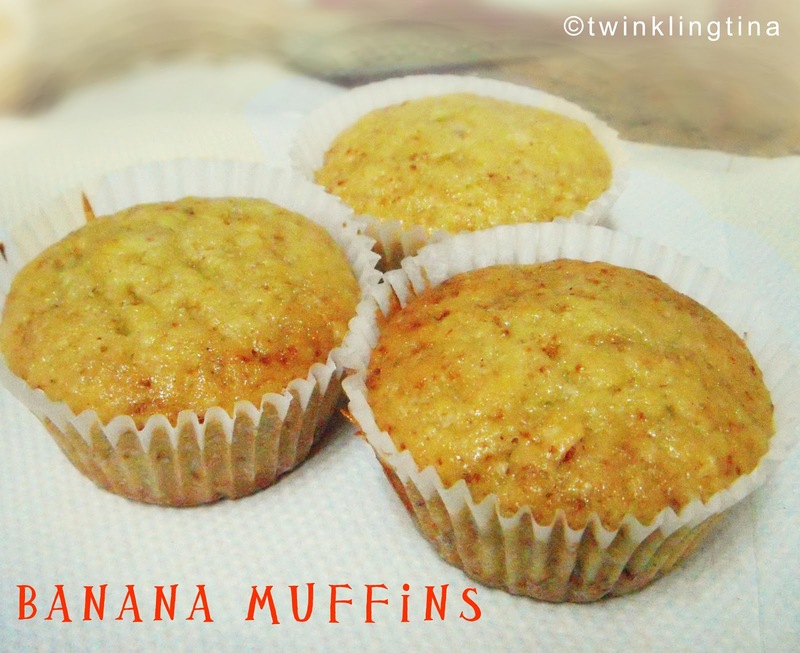 Last Sunday I was again in mood for muffins so thought of using up some fresh bananas. I also added some nuts for the extra crunch. 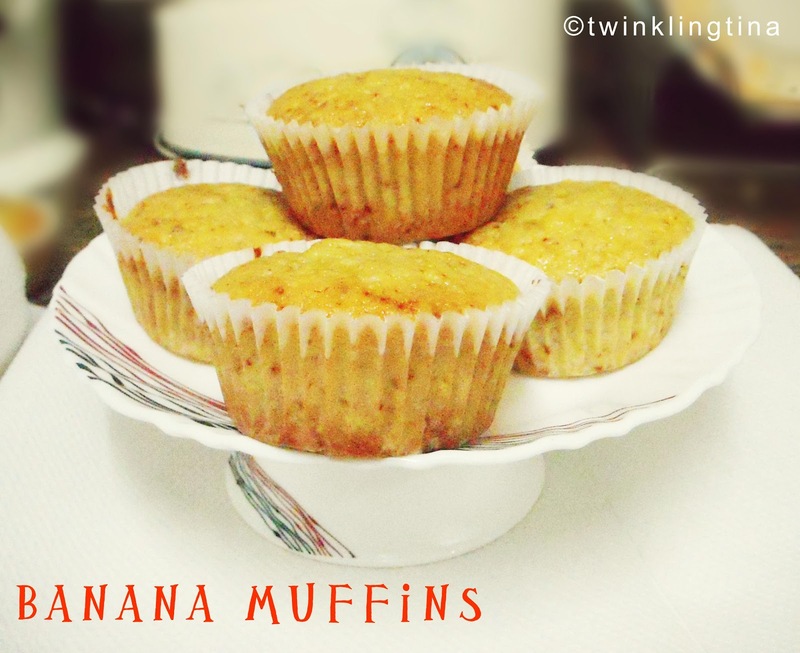 Banana muffins are really easy and very light. You can have it as dessert or even during breakfast. Lightly toast the chopped nuts in a dry pan and set aside. The preparation is very easy. You need two separate mixing bowls for the dry ingredients & wet ingredients and then just mix. Now lightly fold the wet ingredients with the dry ingredients. Take care that you are not beating it very hard you just need to fold it till all the dry ingredients are combined and becomes a chunky batter. No need to make it smooth like a sponge cake batter. Now scoop the batter in the muffin cups and bake them at 180 degrees C for 20 – 25 mins. Rest them on a rack once you take them out from the oven. That’s it – the banana muffins are done. Tip: Insert a toothpick to check, if it comes out clean you are good to go. From where do you get your bakery items like moulds, the paper cups….also can you tell me from where I can get whipped cream for decorating a cake? Well it was really difficult to get the muffin trays and other baking stuffs. I collected mine from Malaysia/Singapore etc.. Wallmart is always handy. These days you can find silicon moulds in total and the food mart in 1MG rd. For whipped cream you can get the canned ones, you'll find that in the 1 MG rd food mart ( i forgot the exact name – its the top most floor of the mall). but best result will be if you can whip it using a hand mixer.